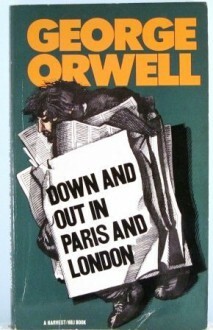 Down and Out in Paris and London is the first full-length work by the English author George Orwell (Eric Blair), published in 1933. It is a memoir in two parts on the theme of poverty in the two cities. The first part is a picaresque account of living on the breadline in Paris and the experience of casual labour in restaurant kitchens. The second part is a travelogue of life on the road in and around London from the tramp's perspective, with descriptions of the types of hostel accommodation available and some of the characters to be found living on the margins.